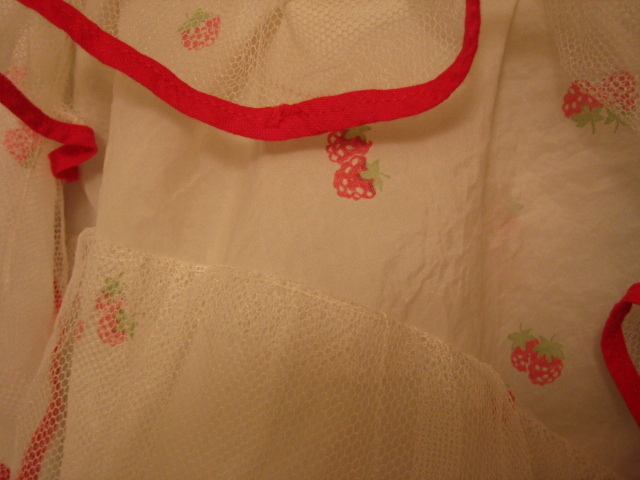 Vintage skirt with strawberries and underskirt. 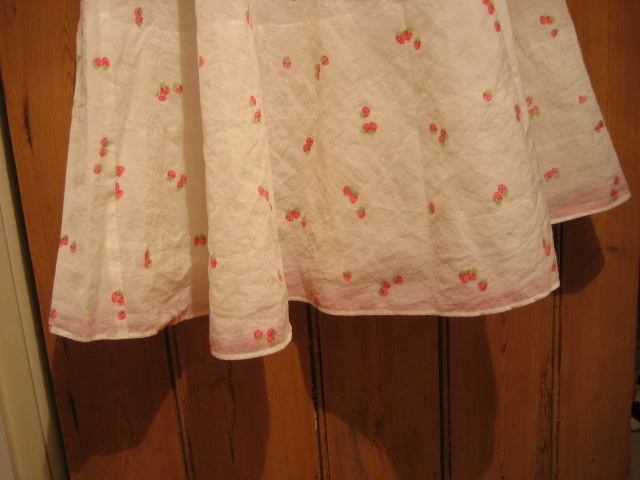 The provenance of this pretty little skirt is unknown, but the style, fabric and way it is made all suggest it is a vintage fifties item. The label reads 'Rio regd'. 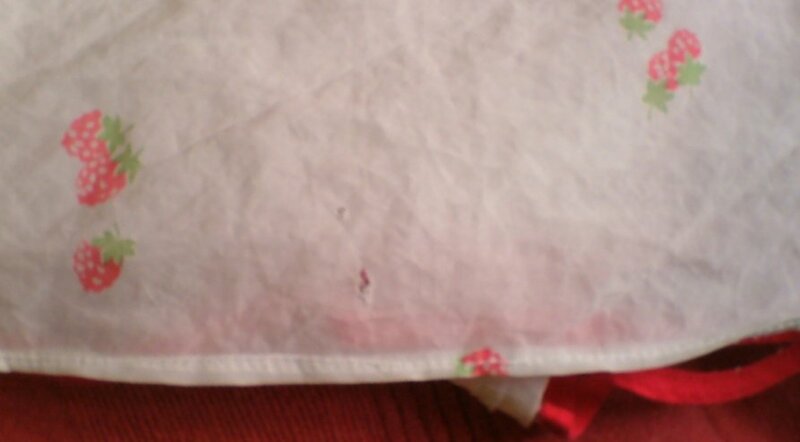 It is made from some smooth stiff fabric, almost the sort of thing used for underskirts of the period. 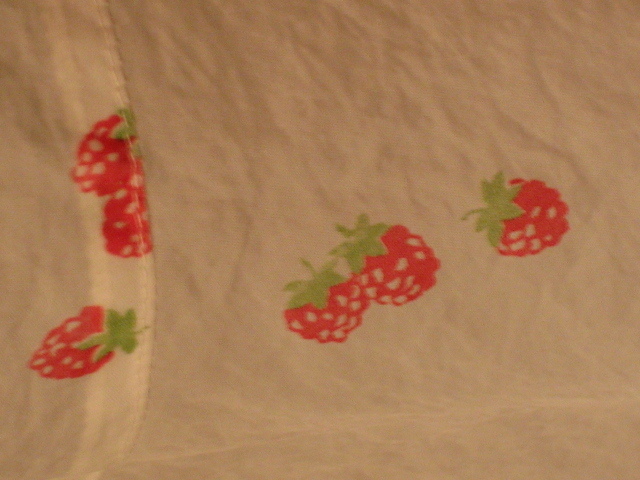 This is white, with a scattered print of strawberries. 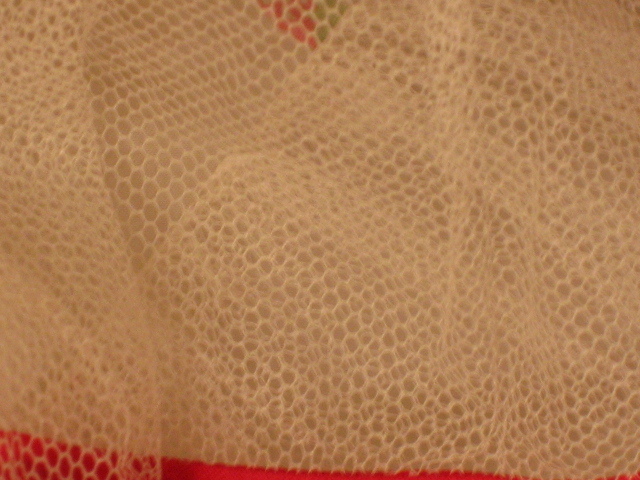 There is an integral white net underskirt with red binding, from about two-thirds of the way down, which just peeps out of the bottom when the skirt is worn. Fastens with one button. 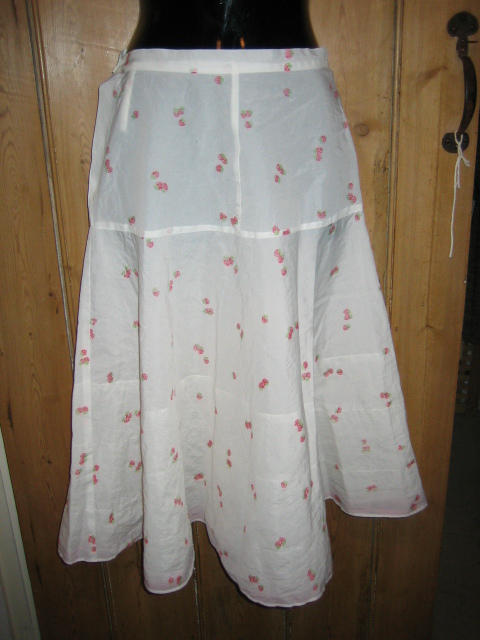 There are no apparent marks or stains, the seams are fine and the button appears to be original. 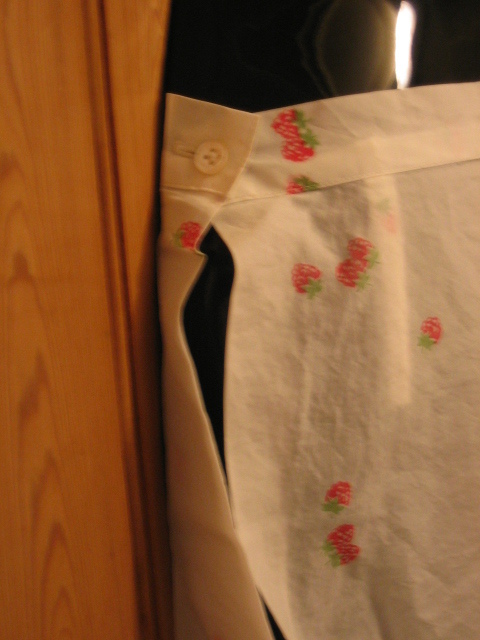 There are two small holes close to the hem at the back (they are about the size of staple holes), which could be stitched; I've tried to show these in the picture. These do not show when the skirt is on, as it is very full. 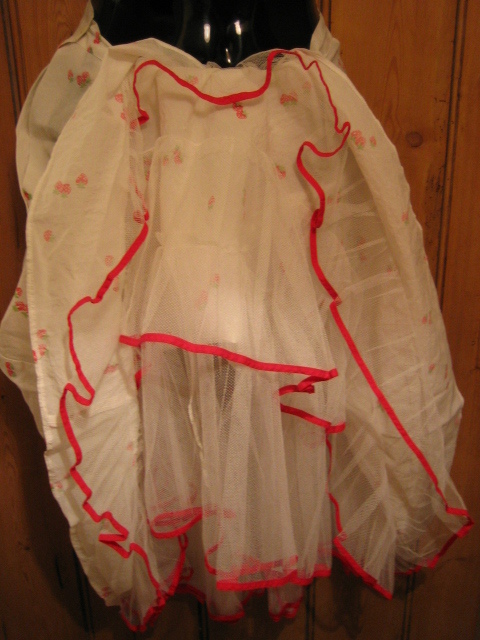 Approx measurements are: waist 26 inches (66 cms), length 29½ inches (75 cms), skirt circumference 100 inches (254 cms).